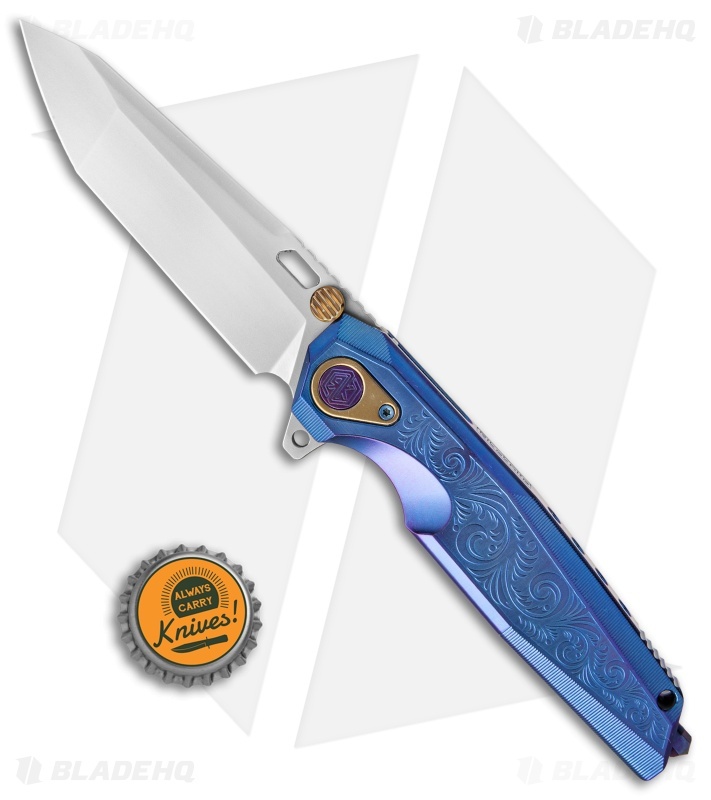 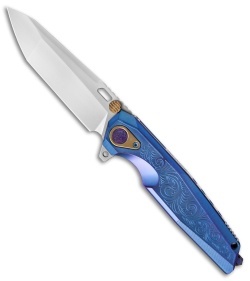 This Thor2 model has a decorative patterned handle with a purple anodized finish and a bead blasted blade. The Thor2 offers solid titanium construction with a one-piece integral handle design. It has a tanto blade with a flipper and large jimped thumb stud openers. 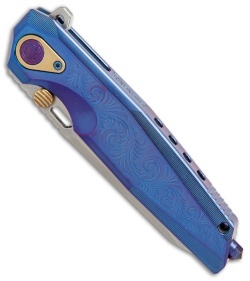 The integral handle offers a sleek profile with a heavy duty feel that will stand up to any difficult cutting task. 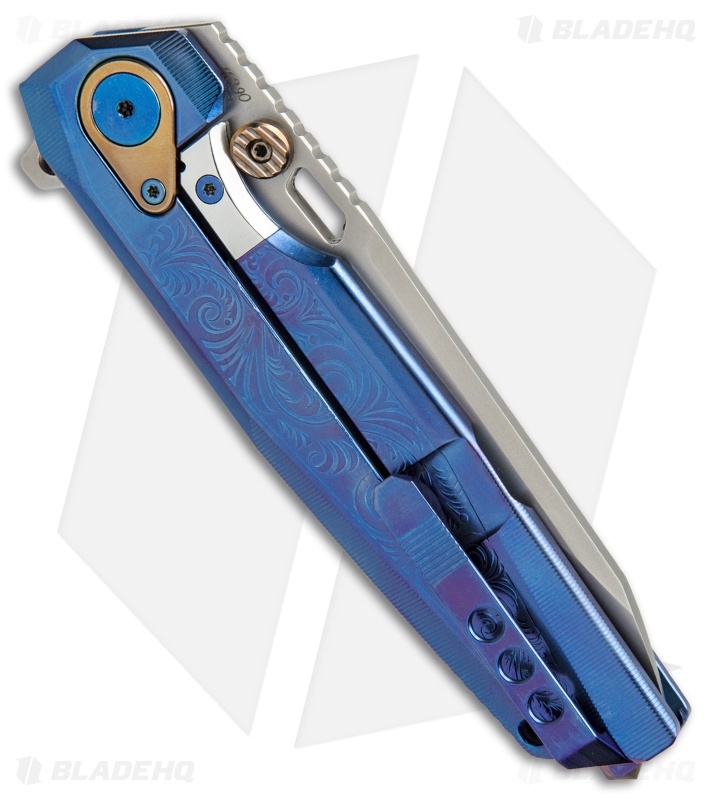 A titanium pocket clip and glass breaker complete the solid EDC design. Milled titanium pocket clip provides a comfortable EDC option.